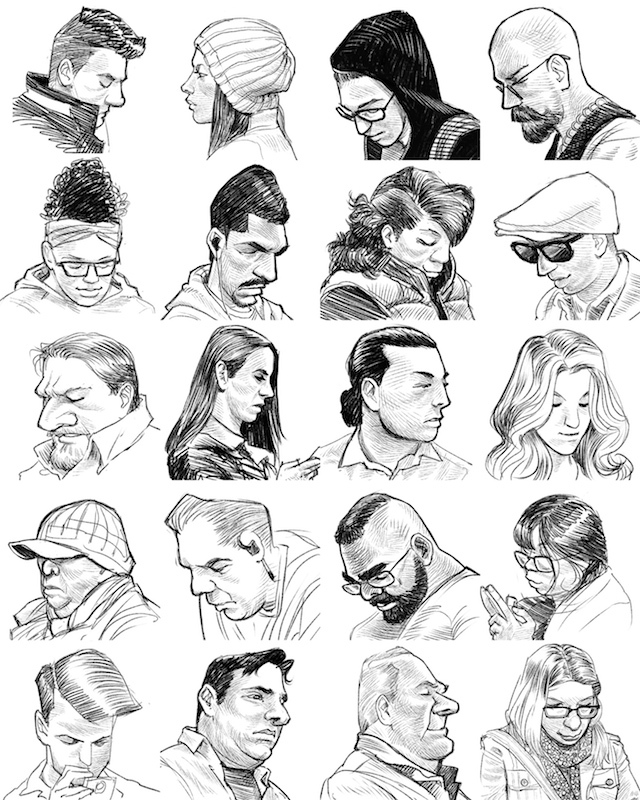 If you've ever been engrossed in a device while riding BART or Muni, it's possible Hamilton Cline drew you. For practical reasons, that's how Cline picks his subjects. "Mainly what I'm looking for on public transportation is someone who is on their phone," he told SFist. "They're less likely to look up and around, and they’re probably less likely to get off at the next stop. Most people take their phone down a stop or two before they get off." 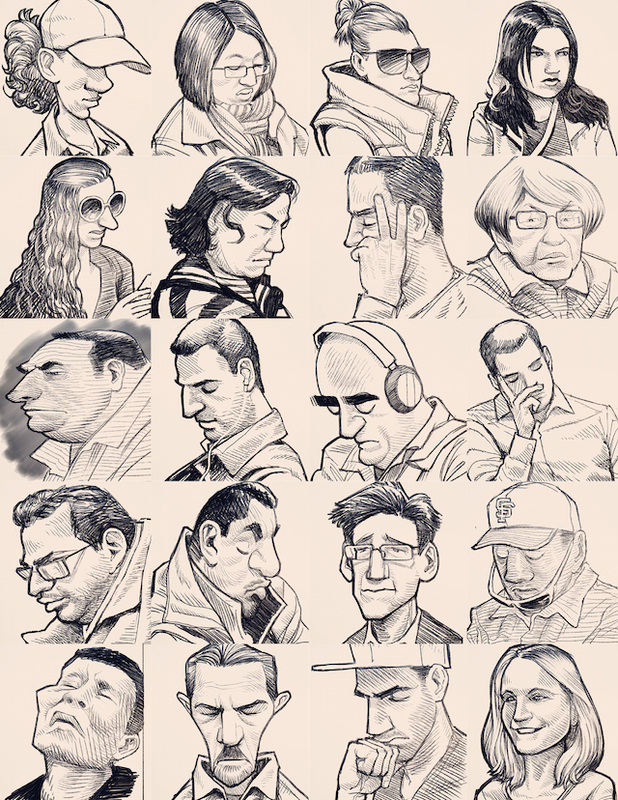 Cline's sketches of the eclectic folk on SF's public transit have become popular on Reddit, and as you can see, there are plenty of them (and plenty more that aren't online). A caricaturist for 20 years, the last five in San Francisco, Cline says he started drawing folks on public transit right away. He's worked in theme parks and just about everywhere else, and now he teaches new media at the Academy of Art. Cline's website has lots more of his work, and his Twitter background picture is an amazing caricature series inspired by "Game of Thrones." "It’s just practice, keeping me loose, and it's fun," Cline says. "And sometimes I see people and I say shoot, I gotta sketch these people." Cline is also going all digital, drawing on his Galaxy Note. He's a wonderful presence on Instagram where he's working on a very meta project to draw some his followers who "like" his drawings. Cline say he often gets caught drawing, just not by his subjects. So look around up and around next time time you're on Muni or BART, and maybe you'll see him drawing unsuspecting traveler. Or keep looking down and maybe he'll draw you next.